Indian political and social activist who founded the Mazdoor Kisan Shakti Sangathana, a union for workers and peasants, in 1987. She worked as a civil servant for the Indian Administration Service for six years. She helped pass the Indian 'Right to Information Act,' a major step in reducing the country's corruption. 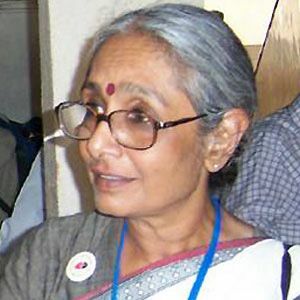 She married her college classmate, Bunker Roy, in 1970. Like Mahatma Gandhi, she is an Indian social activist.